Our Prayers for a Killing Frost … Answered! That may seem like a strange thing to pray for, but I think every market farmer – and one point or another in late summer/early fall – just wants it to be OVER. Well, it was over for us last Friday night, when we finally got a killing frost. 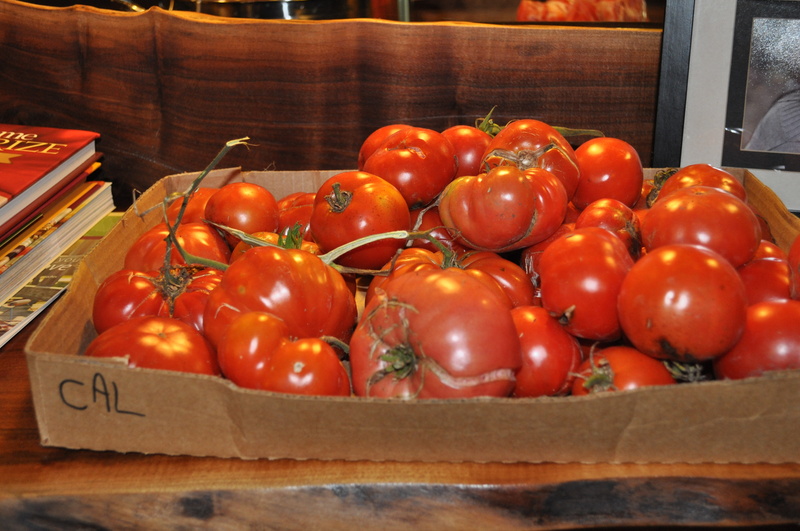 I went out to the tomato plants after work on Friday and quickly picked one last flat of tomatoes. We had already harvested all of the peppers. 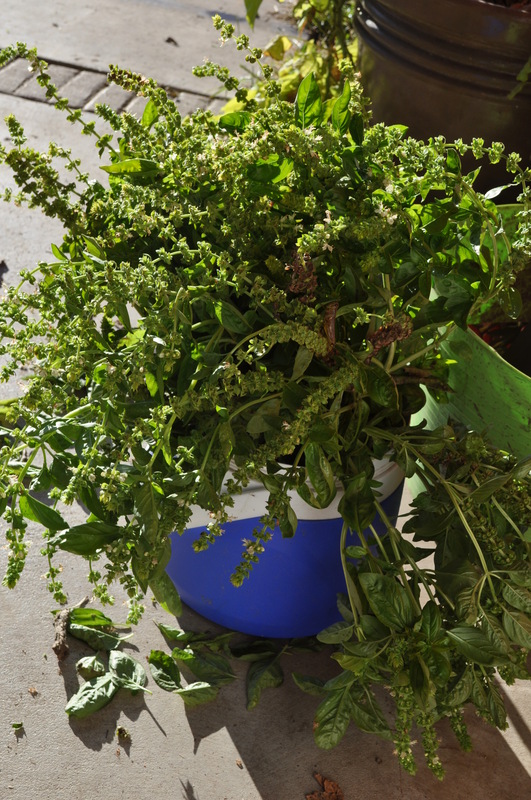 I also cut the last remaining basil … anything I could salvage last minute (with two small kids in tow, and a husband away at a conference). Along with the final UGLY jalapenos, combined with our bell peppers and onions from the Olds’ farm, and made one tiny batch of salsa. I think this is the least amount of salsa I have ever made. 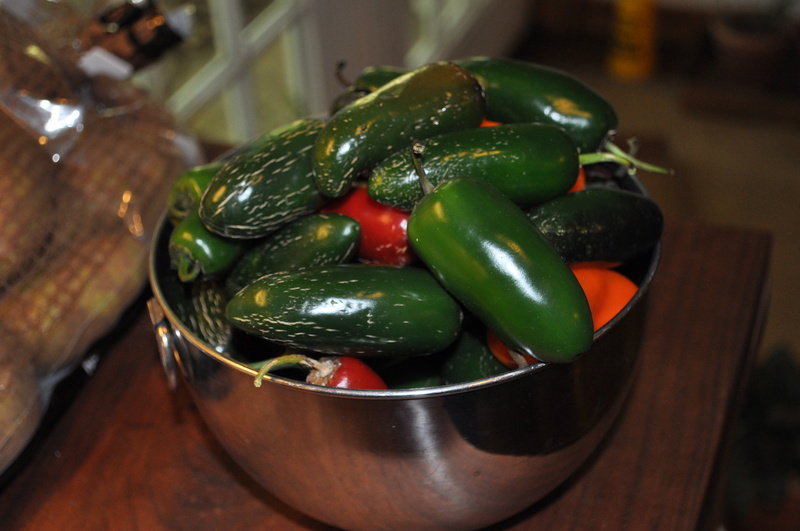 To our family who has come to hope for salsa each Christmas, it will be slim pickings this year. Promises for double salsa next year! 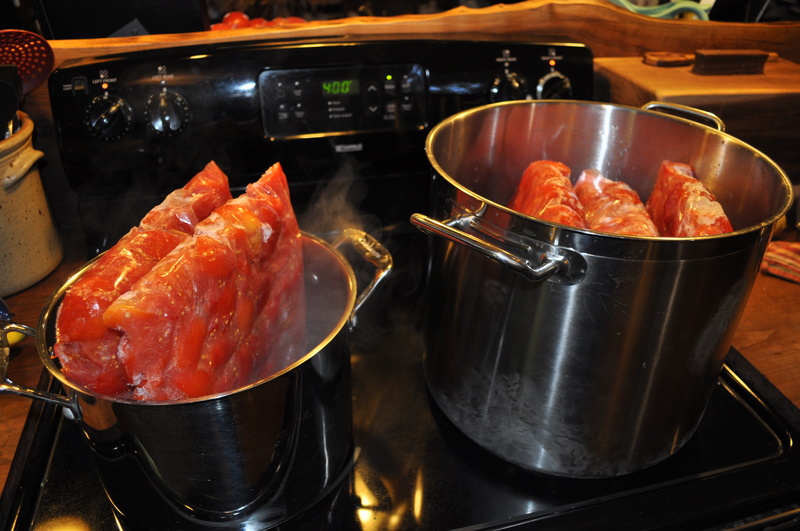 Over the weekend, I also took about 35 pounds of tomatoes that we froze during our bumper crop this summer …. 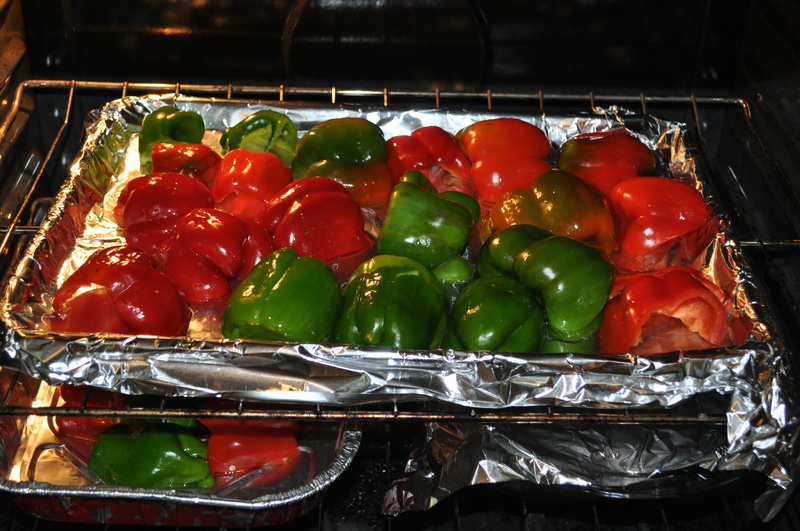 And added roasted peppers to make more of that awesome pasta sauce I posted about earlier this year. Also made and froze seven servings of pesto with the rest of the basil. Love, love, love having pesto in the freezer during the winter. I never get tired of it. Only a few final canning projects left on the horizon. Possibly up this weekend is a batch of apple butter with the remaining apples from the September harvest. 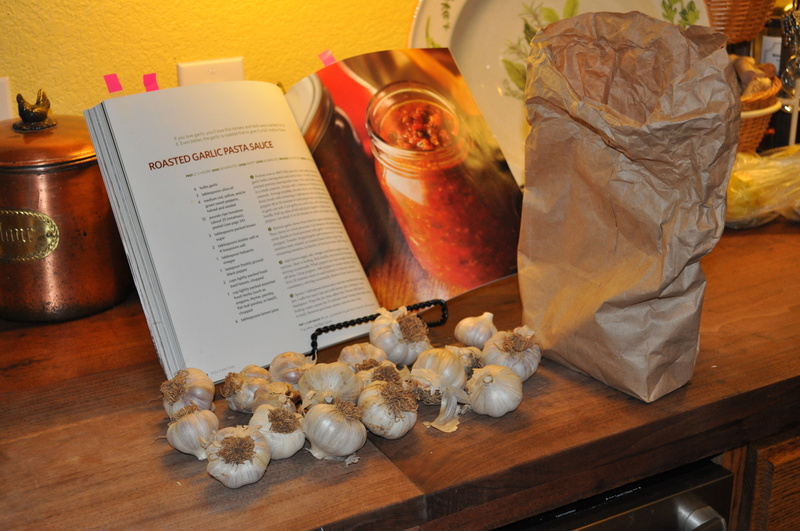 Also planning to make tomato jam, strawberry jam, and mixed berry jam again sometime in the next few months.